It’s time to do away with production-based pay and all its ills. The alternative: profit sharing and a formula for robust professional growth. Rather than incentivizing veterinarians on their production alone, employ both a collective hospital-based revenue growth component and a merit-based bonus structure that rewards doctors based on goals that encourage professional and practice development. Another concern is the impact that production-based compensation has on associate veterinarians and veterinary teams. Associate veterinarians nationwide are voicing concerns about these pay structures. Many believe they had no other option when accepting a production-based compensation package and that all veterinary practices paid associates in this manner. Still others express that before signing their contract, they did not fully comprehend the impact that taking time off would have on their paycheck or the impact of factors beyond their control, such as hospital staffing and greater competition. Production-based pay is hurting hospital cultures. Competition between associates, favoritism and an “every man for himself” mindset are becoming pervasive. To understand how we got here and how to move forward, we need to first examine how veterinarians are compensated in today’s job market and fully understand the benefits and drawbacks of production-based compensation structures. Finally, we will offer alternatives to production-based compensation structures that will motivate associate veterinarians and veterinary teams while still protecting practice profitability. Straight commission with no base salary. This approach describes an agreement where the veterinarian is paid strictly based on a percentage of the revenues produced for the practice. This can become complicated when different commission percentages are used for different categories of production, such as pet food sales versus professional services and when practices accept payment plans and pay commission only when the client pays. Guaranteed base salary, plus commission once a certain production level is reached. This type offers associate veterinarians an opportunity to improve earnings through increased production, while affording a certain level of protection because the income cannot fall below a certain level. However, the base guarantee that many veterinarians are being offered under this arrangement is often so low that doctors rely on their commission to make a living wage. Production-based compensation with a guaranteed base salary. Sometimes referred to as ProSal, this strategy pays associates a guaranteed monthly draw and the production bonus is reconciled monthly, quarterly, half-yearly or even yearly. Reconciliation can be with or without negative accrual. Production-based compensation with negative accrual. A negative accrual occurs when associates have been paid more in draws than their calculated production compensation. This results in associates owing the practice money, which is typically deducted from future paychecks. From the practice owner’s perspective, production-based compensation motivates veterinarians to work hard, since the more they work, the more they earn. It also encourages associate veterinarians to consider the business aspects of the practice and discourages them from discounting and giving away services. In a multidoctor practice, tracking production provides a measure of each doctor’s productivity. For associate veterinarians, production-based compensation can be an opportunity to earn well above the industry’s traditionally low salaries. On the other hand, production-based compensation encourages veterinarians to focus on money rather than on practicing high-quality medicine and providing outstanding client service. It forces veterinarians into a paradigm of getting the maximum average transaction from each client visit, rather than focusing on the lifetime value of the client to the practice. It motivates veterinarians to prejudge clients and discriminate with whom they spend their time, making sure they squeeze in their frequent high-value customers and shortchange the clients who cannot afford a full diagnostic workup. While production-based compensation allows veterinarians to benefit in economic booms and when the practice is doing well, it also forces them to assume the risks of business ownership without having any control over decisions such as the number of doctors or the quality and quantity of support staff. Both of these hiring decisions can significantly affect a single veterinarian’s ability to produce. 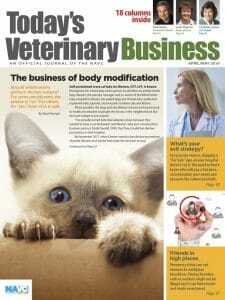 Business decisions about payment plans and the collection of receivables, as well as employee discounts and client promotions, also can affect associate veterinarians’ production-based compensation. Finally, because veterinarians don’t earn production or commission income while they are not at the practice, they are motivated not to take time off, whether it be for continuing education, illness or vacation. This essentially makes paid time off a non-benefit. Given growing incidences of compassion fatigue and burnout, it seems counterintuitive that we would encourage veterinarians not to take time off. How Can Production-Based Pay Impact Hospital Culture? Often overlooked by clinic owners and management is the negative impact of production-based pay on hospital culture. It is not uncommon for veterinarians to create alliances with team members responsible for scheduling appointments so that these doctors are given potentially higher-value patient transactions or booked more heavily. The ramifications are most apparent when the appointment schedule is not fully booked, such as during a recession. Another factor that can create a less collaborative workplace is when doctors taking a day off are hesitant to allow other veterinarians to provide follow-up client communication. Because the doctor who saw the case doesn’t want to lose follow-up income, she will tell the client to expect results when she returns to the office. The result is subpar client communication and patient management and the reinforcement of the veterinarian’s controlling behaviors. Equally destructive behavior occurs when the doctor communicates with clients on her day off, resulting in a veterinarian who never disconnects out of fear of lost income or loss of case control. Recently, we have seen increasing expectations of hospital owners and managers that veterinarians should provide active case management during time off. These behaviors only serve to increase stress and fuel burnout among staff veterinarians. All these behaviors create schisms in the team and hinder the ability to work together toward a common goal. They create hurt feelings, disillusionment and resentment. The power dynamic creates uncomfortable situations for veterinary team members when they are asked to align with one veterinarian over another. The result is a workplace in which individuals feel anxiety, stress and distress. The ability to function as a team is inhibited, job satisfaction decreases and turnover increases. The antidote for production-based pay is this: a hybrid program of sharing profits and growing associates. The benefits to associates are increased personal growth and enhanced workplace engagement. Advantages to the hospital include developing veterinarians who become invested in the clinic’s success. Financially driven competition falls by the wayside, creating a collaborative culture in which the emphasis is on providing the best care to the patient and client, and on growing the practice. Team members no longer are asked to choose sides, which lessens their workplace anxiety. Within this model, veterinarians receive a living wage. The opportunity to earn additional income is based on a bonus structure that promotes the productivity and efficiency of the entire team by identifying categories, or buckets, that are defined by the hospital to align with organizational goals. The veterinarians and hospital leadership work together to define which goals are in each bucket, individualizing these objectives to what will motivate each associate. Revenue growth based on average historical revenue growth and a reasonable goal for future growth. Utilization of in-hospital medical supplies in an efficient and cost-effective manner. Careful use of team resources to minimize overtime costs without hurting patient care. Appropriate delegation of tasks to maximize the skill levels of all team members. Active representation of the hospital in civic groups, such as Kiwanis, Rotary or Toastmasters clubs and the Chamber of Commerce. Involvement in youth activities such as visiting schools to discuss animal care and dog bite prevention, and educating 4-H and FFA clubs about veterinary medicine. Presenting client-education nights on topics of interest to pet owners, such as first aid, dental care, nutrition or preventive care. Involvement in veterinary medicine leadership such as Power of Ten programs or local, state or national veterinary medical associations. Development of financial acumen, such as understanding key performance indicators (KPIs), profit centers, profit and loss statements, budgeting, pricing and discounts. Internal marketing, such as the development of policies to ensure the consistent delivery of patient care. External marketing, such as authoring social media or website client-education content. Developing implementation plans for new services, such as wellness plans, pet health insurance and new medical offerings. Growing medical competencies in dentistry, behavior, nutrition or surgery, for example. Learning enhanced communication skills through advanced training, such as a FRANK communication course. Advanced training to enhance leadership skills within the hospital and the veterinary profession. Presenting a synopsis to the team of what was learned at a CE conference. Preparing and facilitating team education training sessions on topics such as anesthesia, CPR and dental radiology. Teaching and modeling client conflict-resolution skills to the entire veterinary team. Today’s production-based compensation can create negative behaviors such as financially motivated case competition, a lack of professional collaboration, team divisiveness and stress. A viable alternative is to compensate associates with a living salary and a co-created hospital performance and merit-based bonus plan. Outcomes include personal growth and professional development of individual veterinarians. When employed veterinarians are encouraged to actively participate in crafting the hospital’s success, everyone benefits. XYX Animal Hospital offers a merit-based bonus plan as part of Dr. A’s compensation package. Dr. A is eligible to earn a 10 percent bonus ($2,000 per objective for five objectives) based on completion of the following objectives within the contract year starting Jan. 1 and ending Dec. 31. Revenue ($1,000): This objective is achieved if the hospital meets or exceeds a reasonable revenue growth goal based on historical revenue growth. Costs of goods sold ($500): Efficient and cost-effective use of medical supplies is measured through costs of goods sold (COGS) ratios, even though associate veterinarians do not have complete control over managing these costs. This SMART goal is satisfied if the hospital meets or exceeds a reasonable COGS ratio goal that is set based on historical performance. Support staff salaries and wages ($500): The use of team resources and appropriate task delegation is measured through the ratio of support staff salaries to total revenue. 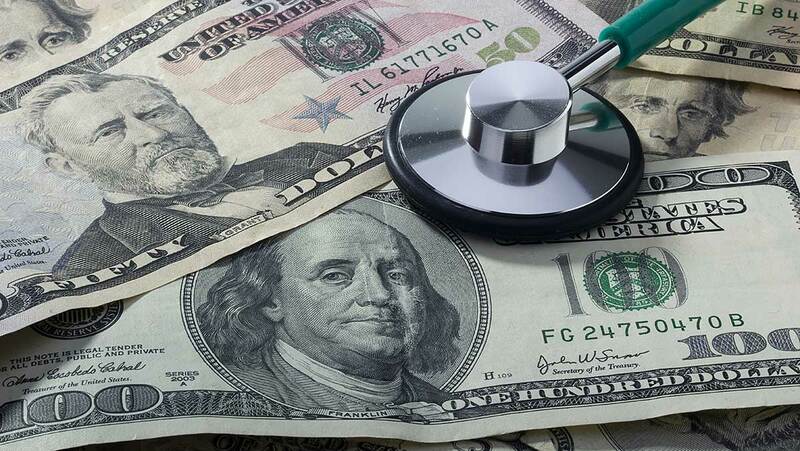 If the hospital meets or exceeds a reasonable expense ratio goal that is based on historical performance, the money is awarded to Dr. A.
Dr. A will review and discuss the end-of-month financials, including KPIs, profit-center revenues and P&L statements with the practice manager by the 10th of each month. Dr. A will research the effects of pet health insurance on patients, clients and hospitals. During a staff meeting and before September, Dr. A will present the findings to the team. Dr. A should be able to discuss why or why not the service makes sense for the hospital and answer basic questions. Dr. A will present four client-education nights, one on the first Wednesday of March, June, September and December. These 45-minute presentations will be on topics selected by Dr. A as being relevant to clients and are subject to the medical director’s approval. Topics are to be submitted by Feb. 1. Dr. A has elected to use part of her CE stipend to attend a communication training course. She will attend the course by June 30. After the course, Dr. A will set communication goals for herself and ask her technicians to evaluate how well she is achieving her goals. A communication goal log should be completed monthly and reviewed quarterly. Examples of these goals could include asking three open-ended questions per appointment, listening reflectively once per appointment and summarizing once per appointment. Having attended the CE course, Dr. A by Sept. 30 will present a team training session on communication skills. The seminar should last at least 30 minutes and be interactive. Dr. B, a course graduate, can serve as a resource for the interactive exercises. Dr. Wendy Hauser is president and founder of Peak Veterinary Consulting. She represents the American Animal Hospital Association in the American Veterinary Medical Association House of Delegates. Dr. Joy Fuhrman is director of finance and operations at Shepherd Software Inc.